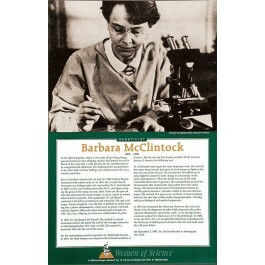 This poster of geneticist Barbara McClintock is one of a series that focuses on great women scientists. The poster features a photo and biographical text. 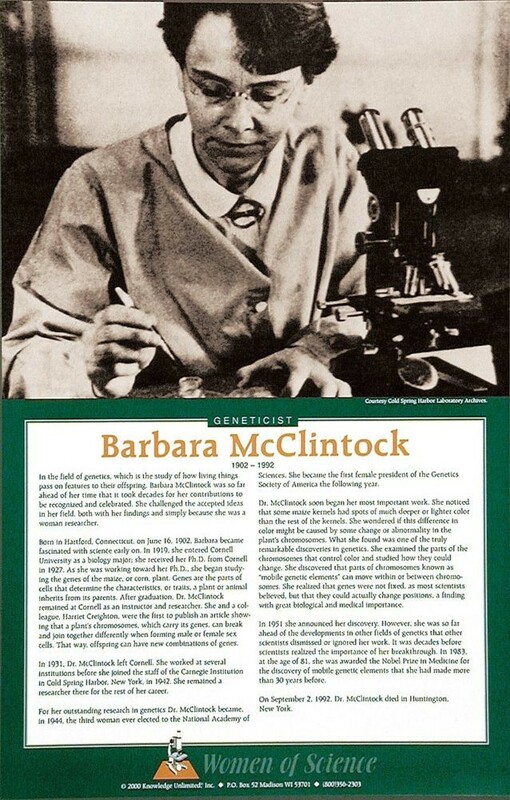 Dr. McClintock discovered that genes were not fixed, as most scientists believed at the time, but that they could change positions. She announced her finding in 1951, but was so far ahead of the developments in her field that other scientists dismissed or ignored her work. More than 30 years later, at the age of 81, she was awarded the Nobel Prize in Medicine for her discovery.